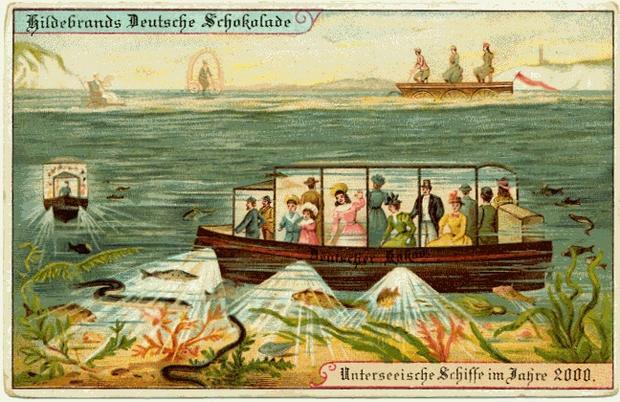 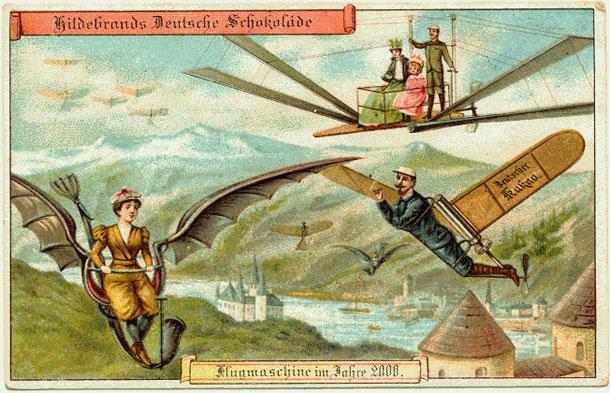 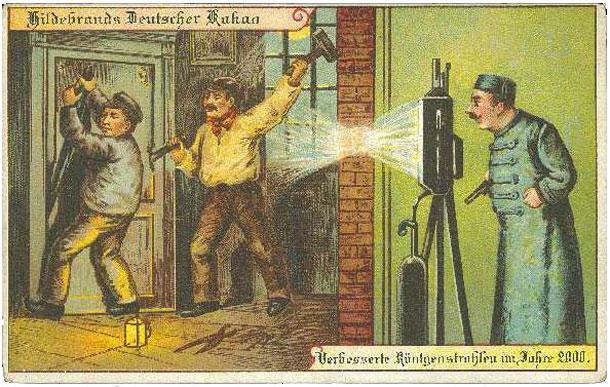 Apparently, back in 1900, Germans had high hopes for mankind and the inventions and experiences we would collectively create in the future. 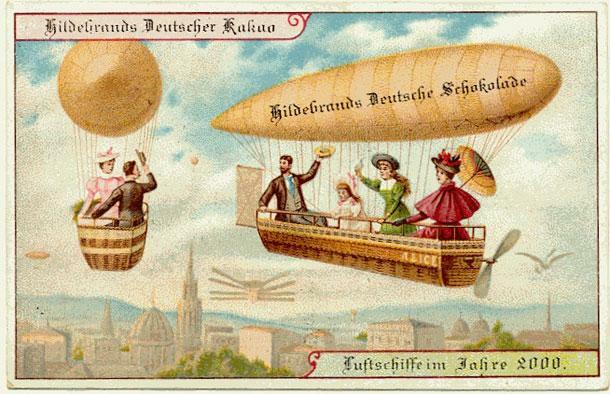 While you would think that these ideas would come from the minds of the visionaries, scientists or inventors, in this scenario the inventor of the future was a German chocolate factory named Theodor Hildebrand & Son. 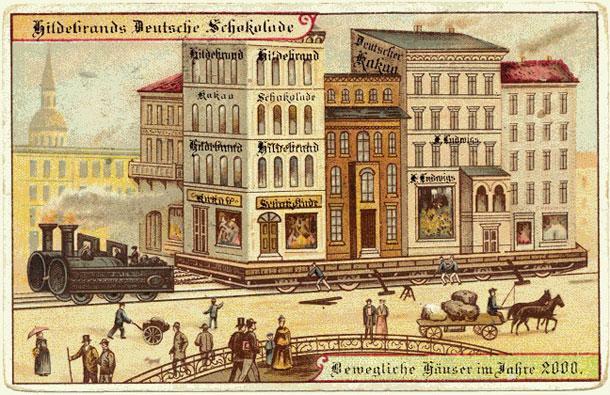 The company was founded in 1817 by the confectioner Theodor Hildebrand in the center of Berlin. 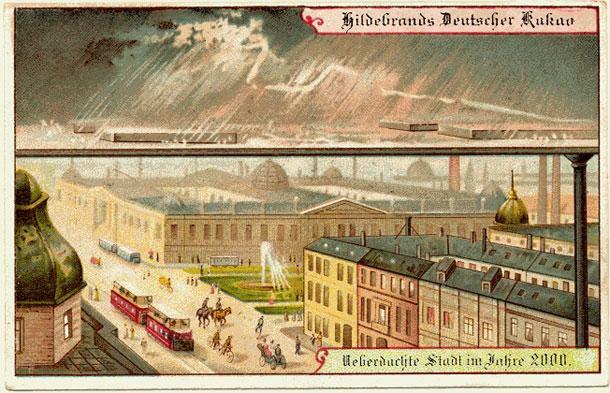 Hildebrand since 1830 used steam engines for the first time in Prussia, the “steam”chocolate factory could offer chocolate in bigger quantities at a low price. 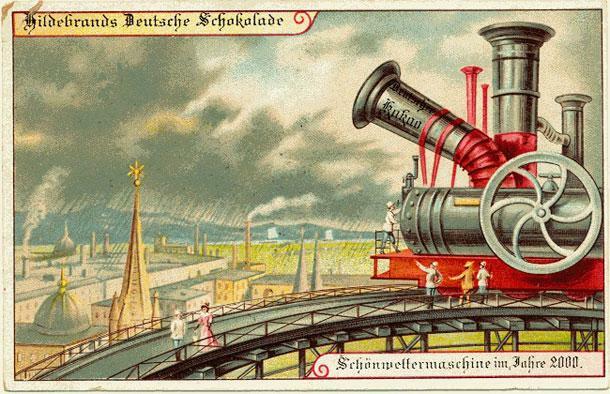 As part of the 1900 Paris World’s Fair, the Hildebrand chocolate factory decided to create an interesting marketing campaign with a bit of a futuristic nature. 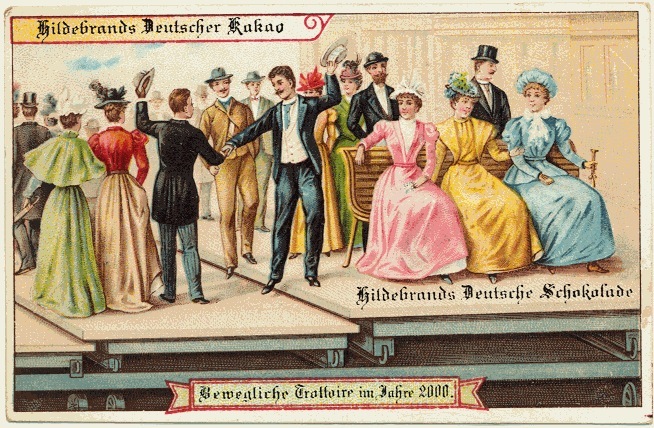 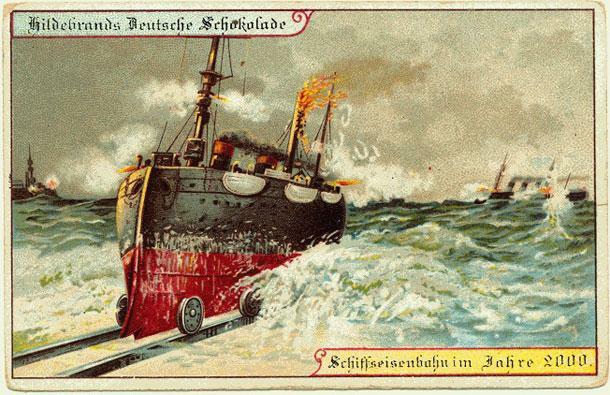 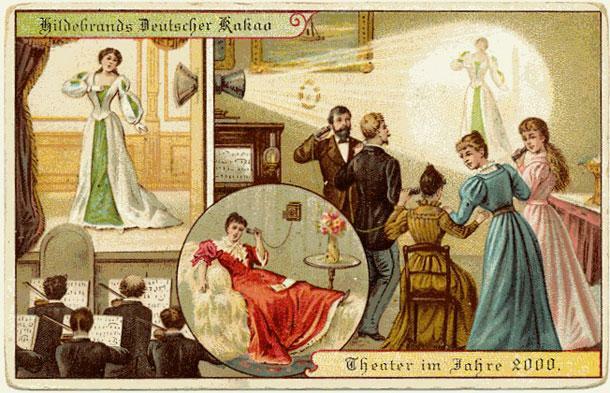 The campaign was entitled “Germany in the year 2000” and they included, colorful postcards depicting the theoretical life in the 21st Century. 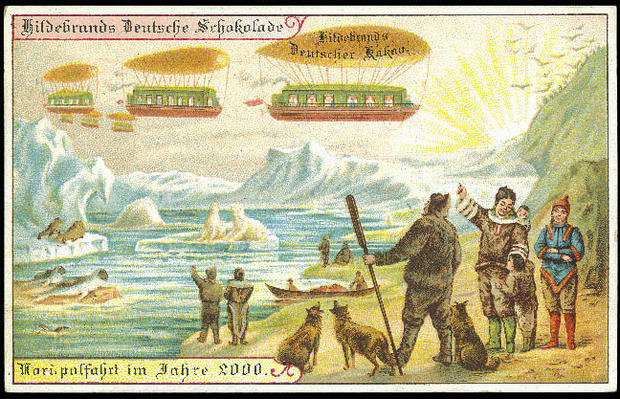 Altogether, 12 cards depicting the future were produced, and Hildebrand slipped these colorful predictions of the future in the boxes of their best-selling sweets and chocolates. 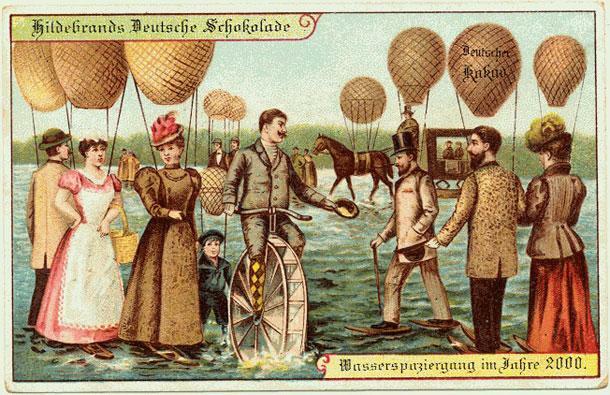 From a ship-locomotive to personal flying machines, check these impressive illustrations offering an amusing glimpse into the general public’s perception of the future.